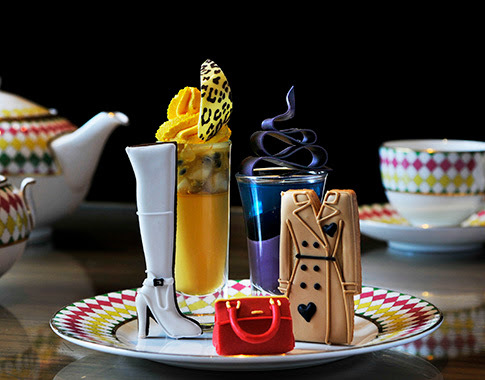 The Berkeley London designer afternoon tea, Prêt-à-Portea, is inspired by the themes and colours of the fashion world. The menu is transformed every six months to follow the changing seasons in fashion. The new Autumn/ Winter 2013 Prêt-à-Portea collection Looks to be the best yer. This seasons showpieces include Burberry's signature trench coat and Saint Laurent's must-have red leather duffle bag featuring on the Berkeley's tea stand. Prêt-à-Portea adds a creative twist to the classic elements of the traditional English afternoon tea with cakes and pastries resembling the latest catwalk designs for the style conscious. and allow 24 hours' notice.